Death Cab for Cutie is an American alternative rock band formed in Bellingham, Washington in 1997. The band is composed of Ben Gibbard, Nick Harmer, Jason McGerr, Dave Depper, and Zac Rae. Death Cab for Cutie rose from being a side project to becoming one of the most exciting groups emerge from the indie rock scene of the ’00s. They have been nominated for eight Grammy Awards, including Best Rock Album for their 2015 release, Kintsugi. Their ninth studio album Thank You for Today was released on August 17, 2018. Death Cab for Cutie is an American alternative rock band formed in Bellingham, Washington in 1997. 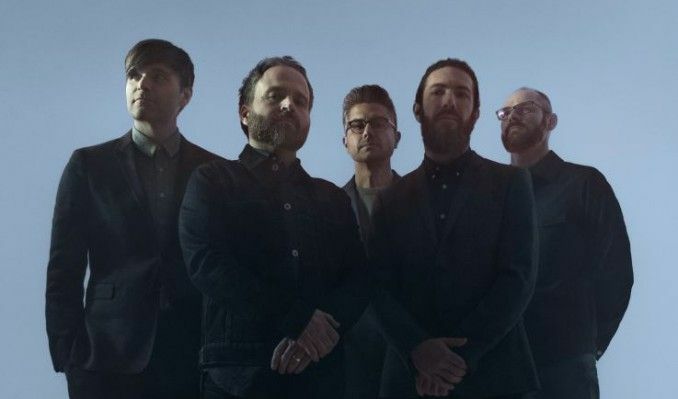 The band is composed of Ben Gibbard, Nick Harmer, Jason McGerr, Dave Depper, and Zac Rae. Death Cab for Cutie rose from being a side project to becoming one of the most exciting groups on the indie rock scene of the 2000's, with their emotive songwriting and cross-genre sound landing somewhere between indie and emo. They have been nominated for eight Grammy Awards, including Best Rock Album for their most recent release, 2015’s Kintsugi. Their ninth studio album is released later this year.